Martha Lask has more than 25 years of experience as an executive coach and consultant in the public, private and non profit sectors, locally and nationally. She has provided executive coaching and taught coaching skills in 26 organizations. Martha has a thorough and deliberate style and is known for helping clients, with compassion and humor, learn as much as possible from analysis of their current experiences. She collaborates with her clients to address their opportunities and challenges within the context of work style, vision, the culture of the organization and the business to be accomplished. Development and facilitation of the Leadership Exchange and Coaching Project (LEC), a two year Leadership Development program, now in its thirteenth year. LEC develops leadership capacity and provides structured peer support and individual coaching for state and local leaders of Child Advocacy Centers across the country. Provision of coaching services for an international pharmaceutical company to eight clinical development teams and their team leads, individually and in co-lead cross functional partnerships. Project purpose was to embed a new matrix structure and corresponding values of partnership, collaboration and flexibility into the work culture. Facilitation of cross-functional and cross-level groups to assess, design and implement a sensitivity program on the needs of older Americans, for a Fortune 500 insurance company. Prior to starting her own consulting practice, Martha held the position of Senior Staff Development Specialist at Towers Perrin (now Willis Towers Watson), a worldwide benefits and human resources management consulting firm where she selected and implemented a new coaching and mentoring program that changed the company’s approach to management. 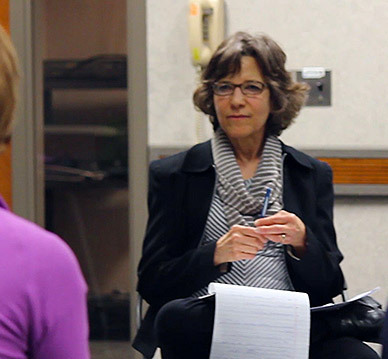 Martha developed an innovative approach to enhance consulting and coaching skills, using embodiment methodologies, including Authentic Movement and Social Presencing Theater, as a practice framework for integrating the body, movement and system awareness. 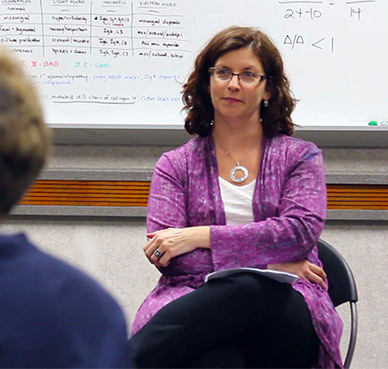 She has facilitated a seven-part series called “Consultant and Leader as Witness” for several different groups and has introduced the series through workshops at several different conferences. Martha is adjunct faculty in the Organization Development and Leadership Master’s Program at the Philadelphia College of Osteopathic Medicine. Martha holds an MS in Organization Development (MSOD) from American University/NTL Institute, (AU/NTL) and a BA in sociology from Bowdoin College. She earned certification in the LeaderCOACH methodology in 1992 from Perrone-Ambrose Associates, leaders in coaching and mentoring. She earned certification from Integral Leadership and Coaching ACSTH- ICF approved program with an emphasis on ontological coaching in 2016 and a Professional Coach Certification (PCC) from the International Coaching Federation. (ICF). In addition to her training in Organization Development and Coaching, Martha has more than 25 years of experience and training in dance, movement, and body work, and a certificate in Authentic Movement / Contemplative Dance from Amherst, MA. She is a member of Organization Development Network, the Philadelphia Regional Organization Development Network, the Alliance for NonProfit Management and the AU/NTL Alumni Association. .
Ellen Greenberg is the owner and Principal Consultant of Partnering For Change, LLC, an Organization Development Consulting firm working with individuals, groups and organizations to create new solutions and approaches that lead to sustainable results, greater success and healthier, higher performing organizations. Ellen is also one of the founders and lead consultants for Intersekt Alliance (a division of Partnering for Change) whose mission is to work with Law Enforcement Agencies, Education Systems and the Healthcare Industry to provide tools within and across groups to facilitate solution oriented conversations that change perspectives and promote partnering. Mrs. Greenberg is a strategic thinker with experience in generating value through leadership development, executive coaching, diversity programming, strategic planning, training, team building, managing change, organizational learning, and building high-performance work systems. She has over 20 years of experience working with nonprofit, for profit and government agencies both in management and consulting capacities. In addition to her work in coaching and consulting, Ellen is adjunct faculty in the Organization development and Leadership Master’s program at the Philadelphia College of Osteopathic Medicine in Philadelphia since 2011. Ellen holds an M.S. in Organization Development from American University/NTL Institute (AU/NTL), and a B.A. in Journalism with a specialization in advertising from Temple University. She is qualified to administer and interpret the Myers Briggs Type Indicator (MBTI) and the Fundamentals of Interpersonal Relationships Orientation (FIRO Element B) assessment. She completed the Georgetown Leadership Coaching program in 2010 and is a member of the NTL Institute for Applied Behavioral Science, Organization Development Network, Philadelphia Region Organization Development Network and the AU/NTL Alumni Association.